You can change the world—one life at a time. Most of us enjoy a quality of life that much of the world could not even imagine. It’s easy to live unaffected by the injustices and impossible realities on the other side of the world. The truth is, we know we should help those less fortunate than us, but when the faces of those who suffer are distant and the need feels so overwhelming, where do we start? Where can we make the most impact? 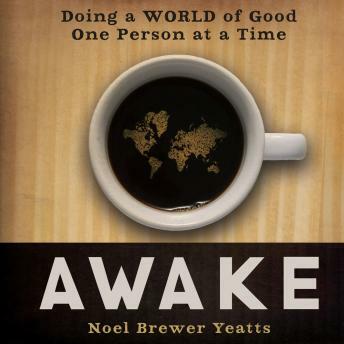 This compelling, story-driven audio book urges us to open our eyes to the needs of a hurting world and to get involved in realistic, positive change. It’s not about guilt, handouts, or charity—it’s about justice, compassion, and change. It’s time for us to be fully awake to the needs of a hurting world . . . and do a world of good one person at a time.